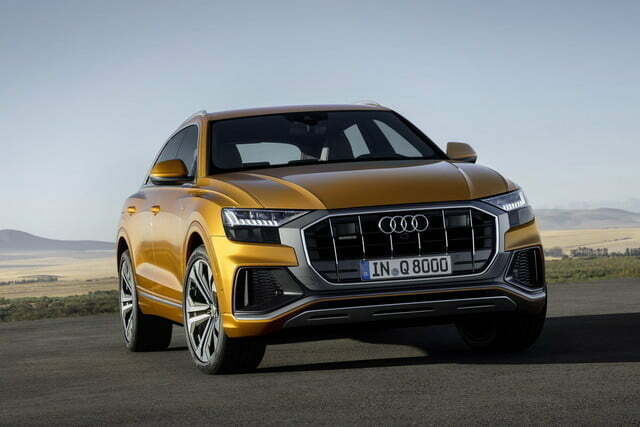 Audi has introduced the Q8, a long-promised range-topping SUV that aims to deliver fast, luxurious, and high-tech motoring. It just broke cover online, but Digital Trends got an exclusive preview of the firm’s new high-riding model in March. 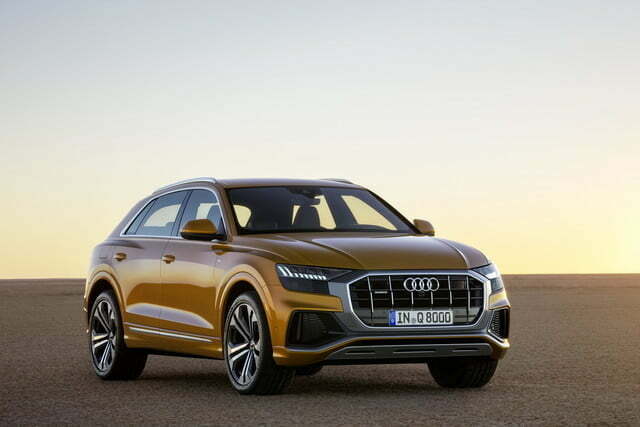 Audi bills the Q8 as an SUV with a coupe-like design. Think of it as the company’s answer to the Porsche Cayenne and, significantly, Land Rover’s Range Rover Sport. 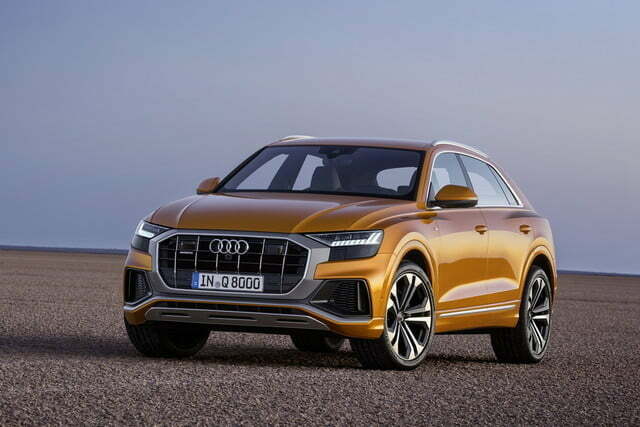 It borrows a multitude of styling cues from the Q8 concept introduced last year during the Detroit auto show. 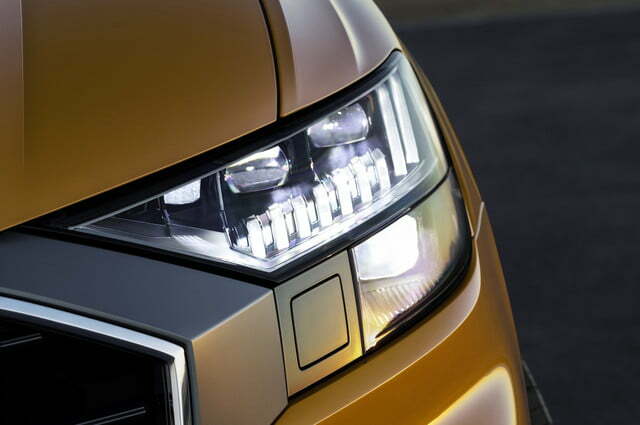 Large and in charge, it rides on the same basic platform as the Q7, the Lamborghini Urus, and the Bentley Bentayga, among other models, but stylists took the design in a sportier direction with a wide, upright octagonal grille accented by vertical chromed slats and surrounded by what designers call a mask. You’re looking at the new face of Audi’s Q-badged models. 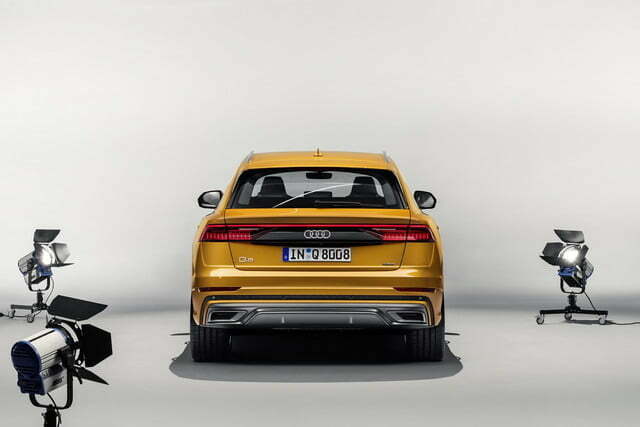 The Q8 is shorter, lower, and wider than the Q7 but the two models share the same wheelbase. 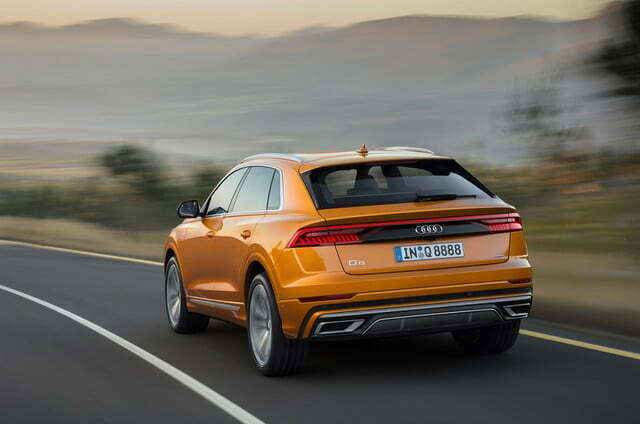 The Q8’s muscular haunches create a visual link to the emblematic Sport Quattro coupe that dominated the international rally scene during the 1980s, while fitting frame-less doors reminiscent of models like the A5 Sportback helped lower the roof line. 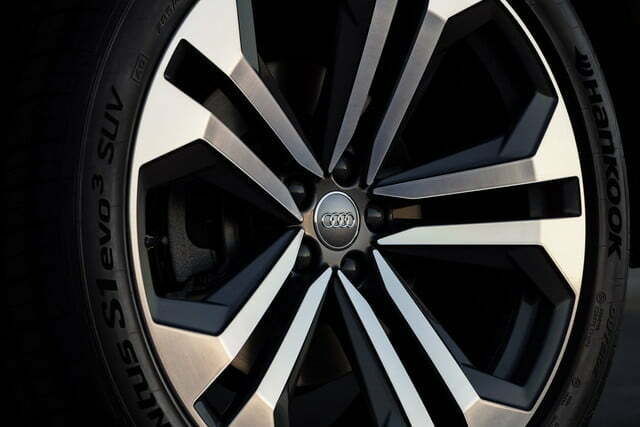 Audi offers 22-inch alloys to fill the wheel arches; they’re the biggest wheels the company has ever offered on a volume-produced model. 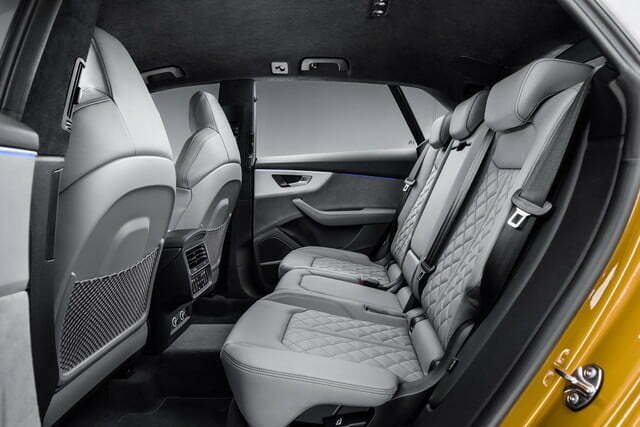 Audi designer Sascha Heyde told Digital Trends the interior has three levels. He called the first the digital core; it includes the software and hardware required to run the car’s numerous electronic and infotainment functions. 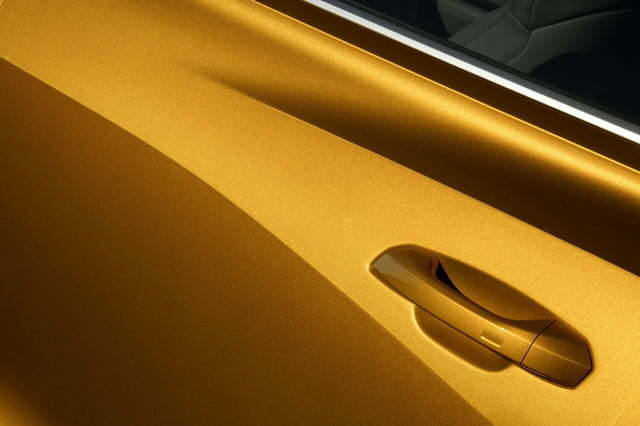 The second is the mechanical wrap; it’s the elegant metal trim that surrounds the dashboard and the center console to augment the cabin’s sense of width. Finally, the soft cover is made up of the luxurious leather and soft-touch plastic parts located within the passenger’s line of touch and sight. 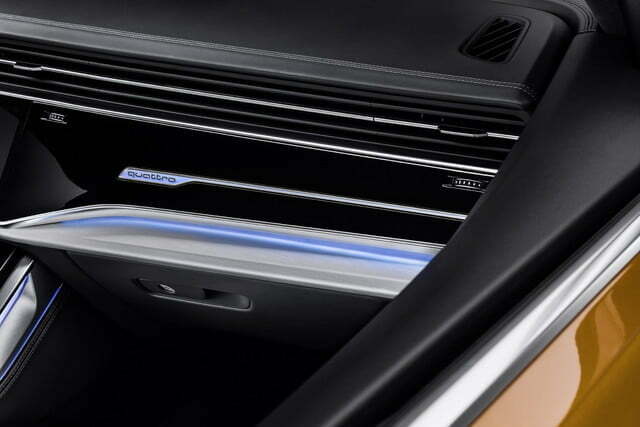 These three levels come together around the passenger to create a feeling of immersion. Designer Sascha Heyde told Digital Trends the interior has three levels: the digital core, the mechanical wrap, and the soft cover. Let’s go back to Heyde’s first point; the digital core. 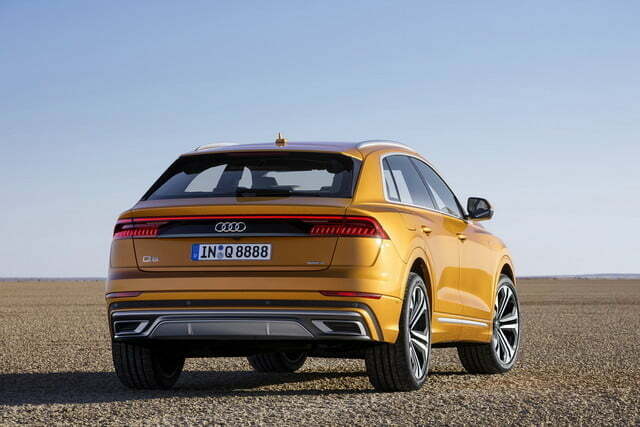 Audi installed its ubiquitous 12.3-inch digital instrument cluster and embedded a 10.1-inch screen into the dashboard. It might look familiar; it’s the same haptic feedback-enabled unit found in the new A8 and the second-generation A7, among other models. We tested it during our preview and came away impressed by its smartphone-like simplicity and the quality of its graphics. We like that it’s possible to drag and drop icons to rearrange the home menu and pin favorites. The second screen replaces the climate-control panel normally found on the dashboard while letting the front passengers manually write an address into the navigation system. The Q8 boasts smartphone integration right from the get-go. Owners can use a purpose-designed application for Android devices to lock or unlock the car, start the engine, set the climate control, program a navigation destination, and even adjust the seats. They can do this manually, or they can create individual profiles that memorize each driver’s set of preference. Car-to-x communication technology opens the door to a self-learning navigation system that provides real-time traffic and parking information. For example, it knows when there is a traffic jam in the chosen route and it can find the available parking spot closest to your destination. The fastback-like roof line epitomizes form-over-function design but it doesn’t eat up as much space as you might think. Our six-foot-two colleague fit in the back seat with the driver’s seat pushed all the way back. Trunk space checks in at 21.4 cubic feet with five adults on board and 62 cubes with the rear seats folded flat. 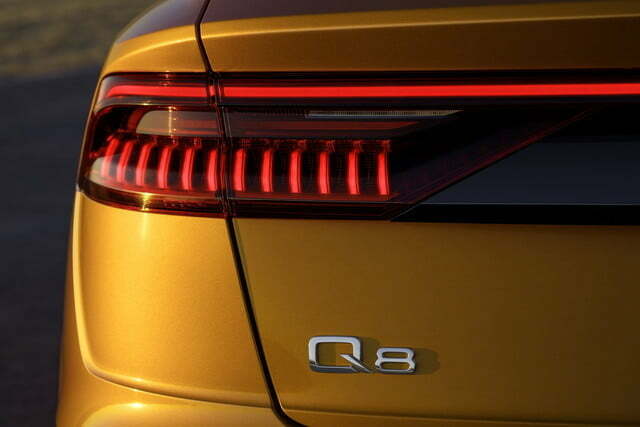 In America, the Q8 will launch with a turbocharged 3.0-liter V6 engine tuned to make 335 horsepower and 368 pound-feet of torque. 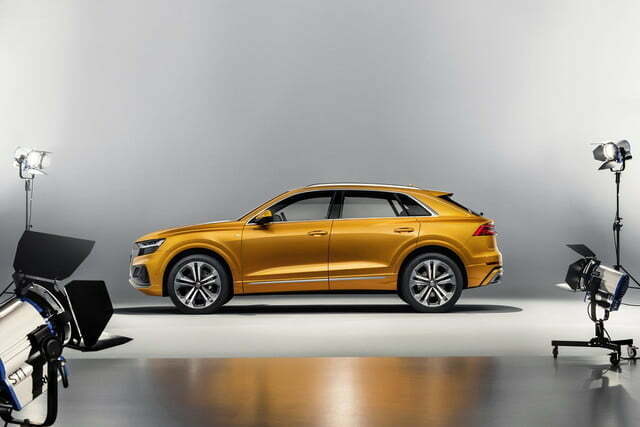 The six-cylinder spins the four wheels through an eight-speed automatic transmission and, of course, Audi’s quattro all-wheel drive system. In this application, it sends 60-percent of the engine’s torque to the rear axle and the rest up front to deliver sporty, rear-biased handling. 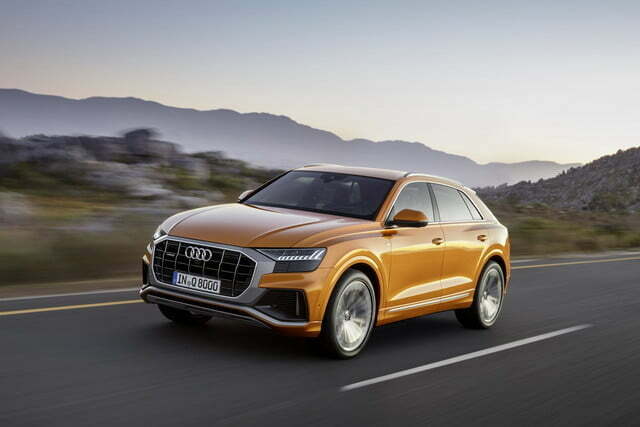 In addition, 48-volt hybrid technology will keep gas mileage in check, though Audi hasn’t announced fuel economy figures yet. 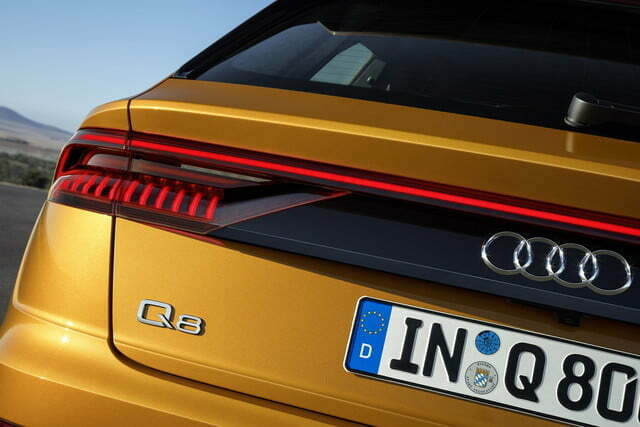 The Q8 changes personality depending on the driving mode selected. Active at up to 21 mph, the off-road mode raises the suspension by over half an inch to clear obstacles without leaving part of the rocker panel behind. At the other end of the spectrum, the dynamic mode lowers the car to make it more aerodynamic at freeway speeds. The gravel mode is for dirt roads, while the normal mode is for everyday driving conditions in urban environments. 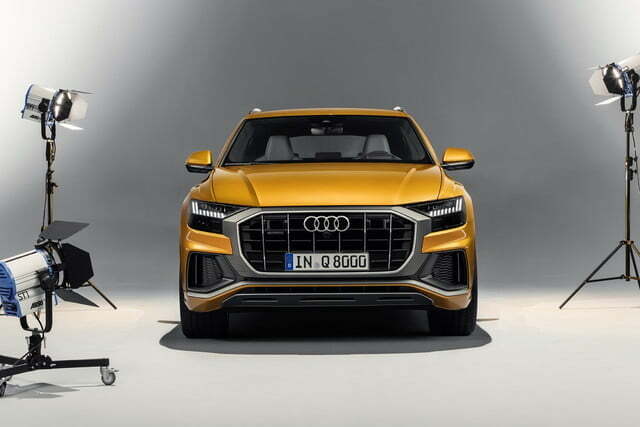 Built alongside the Q7 and the new Porsche Cayenne, the Audi Q8 will arrive in showrooms later this year as a 2019 model. Look for a pricing announcement in the months to come.